There is a Swiss Proof 40 listed for sale in Pasadena CA. 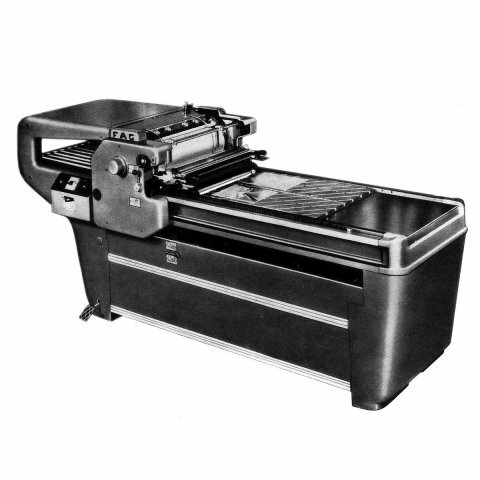 I also listed it in the Equipment for sale category. 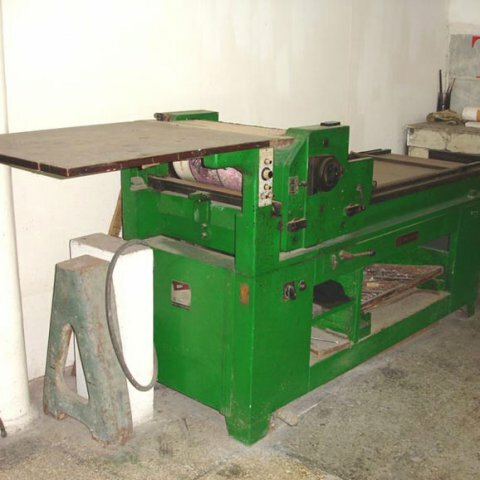 There is a Control 800 listed on I-O-Auctions.com for sale in Tielt, Belgium. 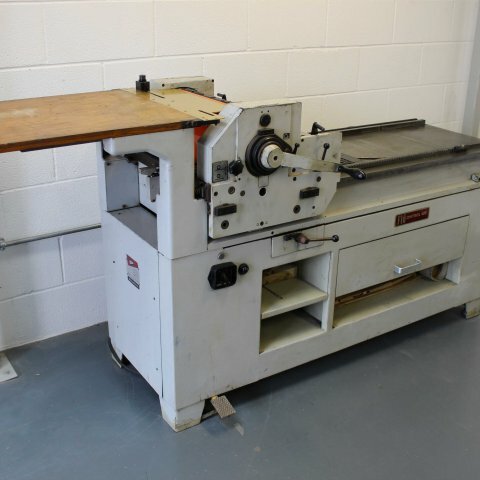 I also listed it in the Equipment for sale category. Our little community has now grown to a hundred members. Olé! 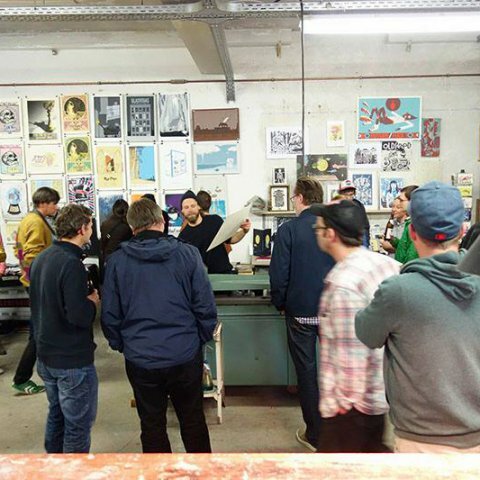 I would like to say thank you to all the printmakers who registered their presses, sent me photos and provided all the information of their studios! This is great! And I would also like to say thank you to FAG Lausanne and especially Mr. Orville, who is always helpful with providing us with tons of informations, great support and also spare parts. 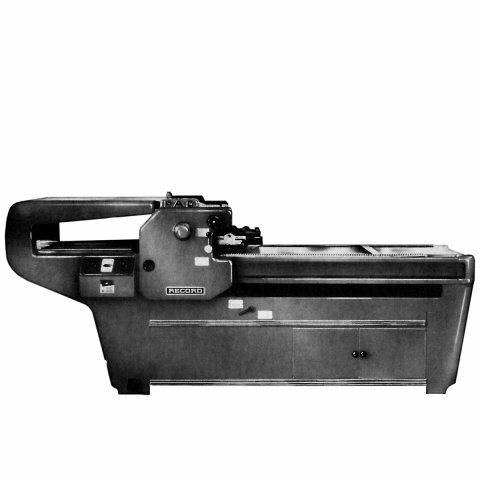 Without the help of Mr. Orville, www.proofpress.ch would have never been possible to realize. Thank you. We're still keeping our eyes and arms open to welcome some more registrations. Next goal would be 150 members... haha. 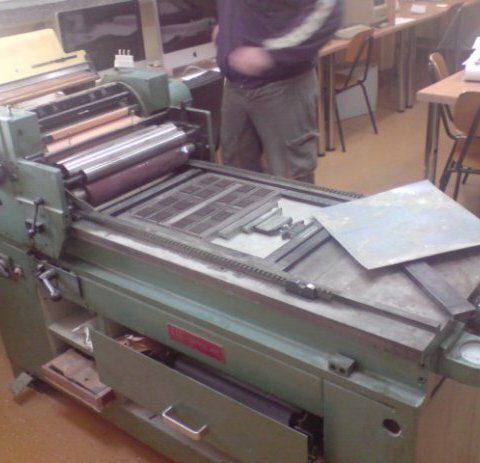 If you know any other printmakers or museums who still have/operate a FAG letterpress proof press, let me know and I'll contact them! Au Chiffon d'Encre, Xavier Michel printing on his FAG Control 800 from Dafi Kühne on Vimeo. 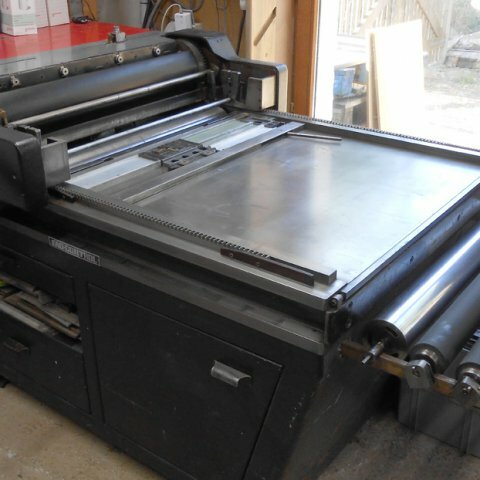 Xavier Michel from «Au Chiffon d'Encre» (in Meslin-l'Evêque, Belgium) recently posted a video of him printing on his very rare FAG Control 800. See the registration of his press here. 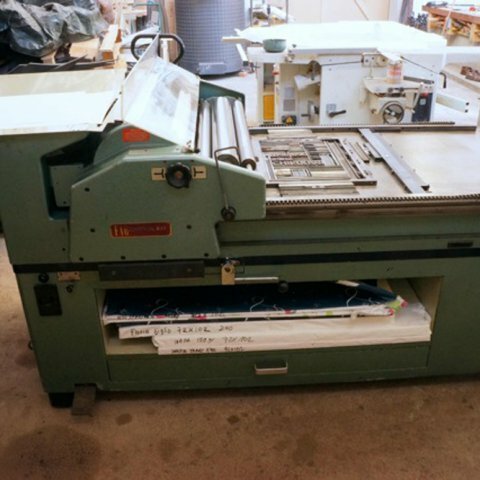 There is a Standard CP-550 for sale in Germany, near Mannheim. It needs to go very soon! 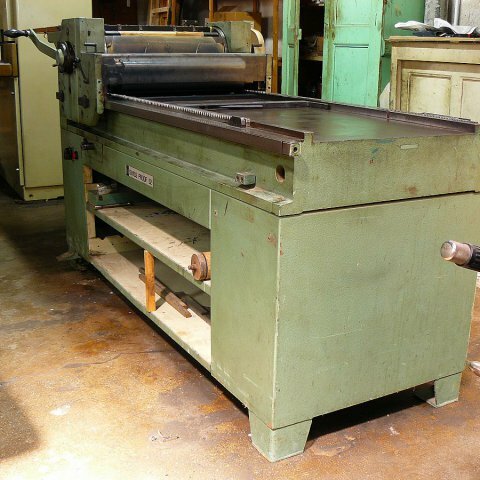 I listed it in the Equipment for sale category. 85 registrations from 20 countries! Control 405 at The Strong Arm Press in Brisbane, Australia. FAG Swiss Proof 52 at Taller Experimental de Gráfica, La Habana, Cuba. FAG Control 405 at The Print Faculty, Cheltenham, UK. FAG Standard AP-550 at P98a, Berlin, Germany. FAG Standard TP-510 at P98a, Berlin, Germany. Screenshot from the updated navigation. The proofpress webpage just underwent some major updates this week. The registration part was just growing too big for the initial page, so we had to restructure some sections. The guys from SUPERNOVÆ (Berlin) did a fantastic job implementing all the new features. Thanks alot! The navigation is now structured a bit different and has different names – but basically you still find all the same information on the webpage. All the images now have a lightbox. By clicking on the [+] you can browse and click through the images in bigger size. 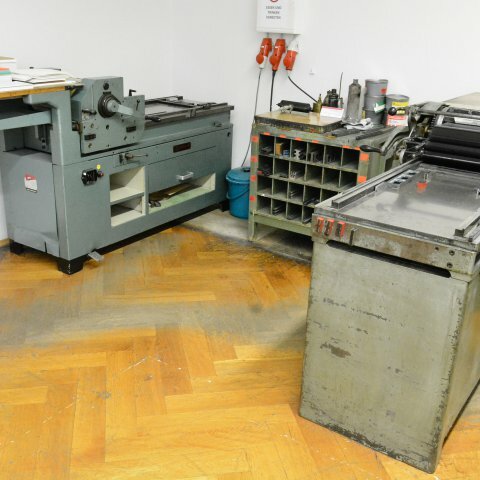 The whole printing press still in use part of the webpage has been restructured in the «Shop / Studio» section. All the studios are now sorted alphabetically which helps alot to browse through. Right now, the proofpress.ch webpage has 79 registrations from 17 countries. Great! 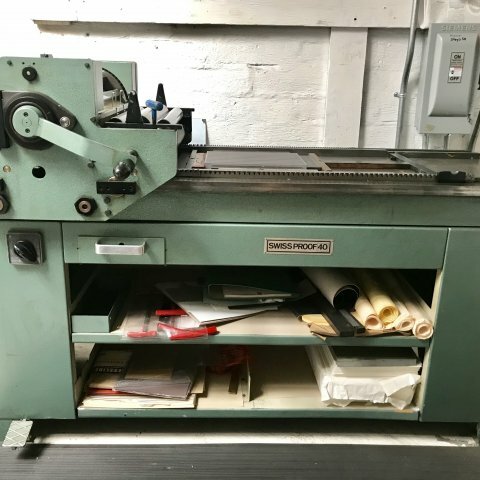 If you still know any more printmakers working with FAG proof presses – please let me know and I contact them to register their presses. Feedback is always welcome! 75 registrations from 17 countries! Very nice recent registration of a FAG Control 839 from «La Chose Typo», Clermont-Ferrand, FR. 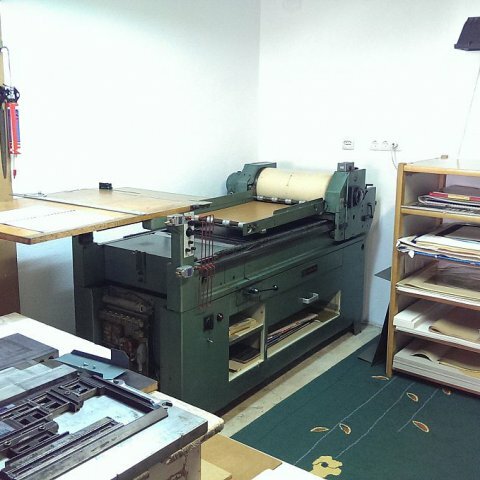 Proofpress.ch is growing! The since the platform has been released in 2012 I have now 75 press registrations from a total of 17 countries. I really hope I can push it still a little more. But also the webpage needs major updates to still fit these 75+ registrations. I am cleaning up the layout right now and discussing to my programmer to get and see if I can bring up the budget for these updates. 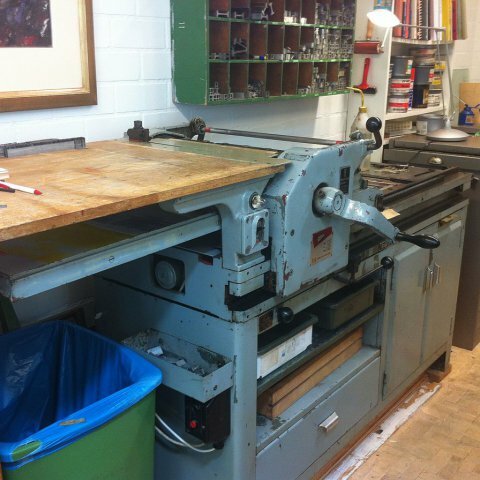 I still have a list of over 20 contacts of printmakers that are still working with FAG proof presses. But with some of them it is really hard to reach and talk to them... 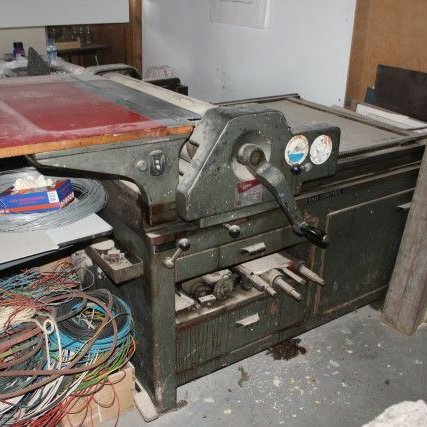 So if anyone might still know printmakers working with FAG presses or anyone want to help me out with contacting printmakers! You are very welcome to do so! New image from FAG Record found! The edited image from the old tiny contact print. In terms of image quality, there was not too much to do about it! Original contact print from an old archive binder at FAG, Lausanne. Another tiny image from that same catalog. This one was a bit better in quality. This was the origninal scan to begin with. It even had punched holes in it from being held in a binder. 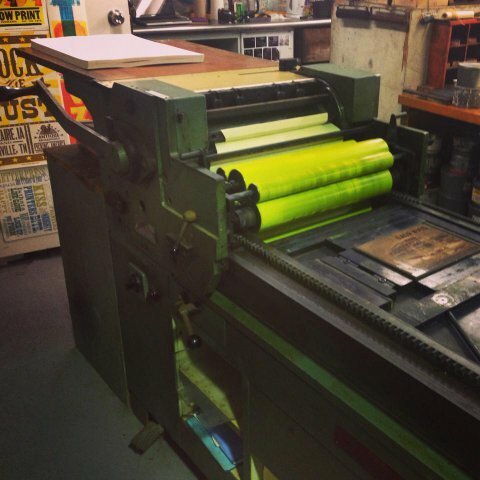 Vandercook 219P, built in the 1950ies in Chicago. 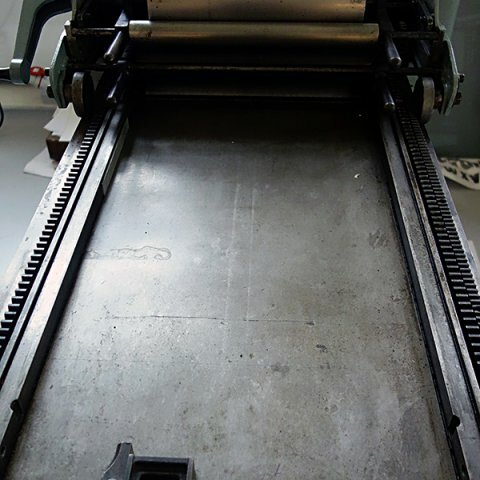 Thanks to Paul Moxon from the Vandercookpress.info page for this image. 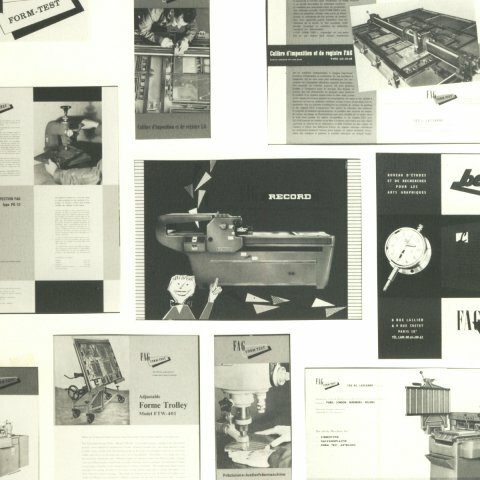 I found this image of the FAG Record in my digital archive of files. It was a very small contact print from the 1950ies. Still I wanted to use it, since this is probably one of the last image left from that press. It is very hard to get information about the FAG RECORD. Probably it was built in the late 1940ies until the mid 1950ies in Singen. 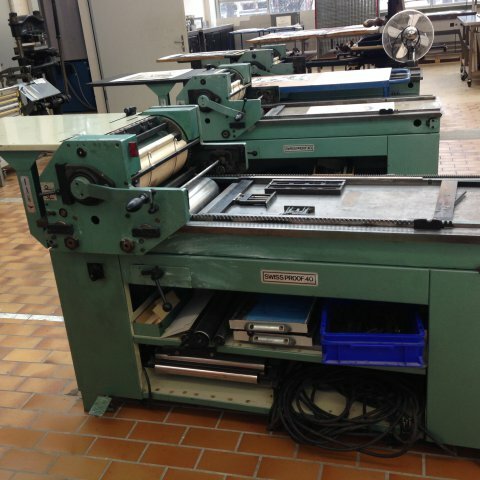 I could not find any more information about this machine in the archives at FAG Lausanne or even at former Haas & Kellhofer in Singen, Germany. 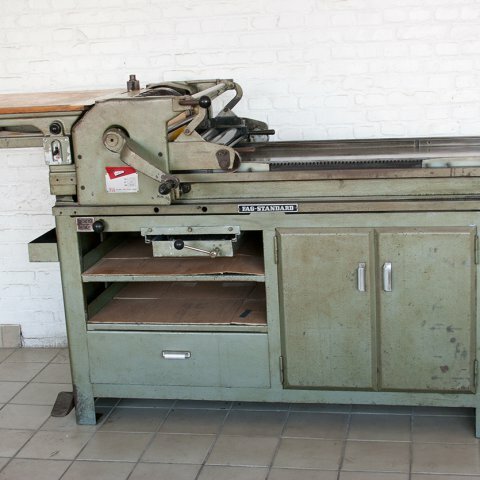 Even Former Chief Engineer at FAG Manufactury Avenches) only saw this model once while he needed to repair one in Sweden (probably around the early 1970ies). He never saw any FAG Record ever since. 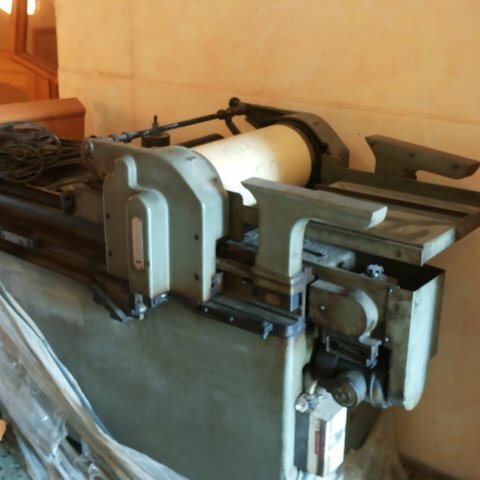 He also mentioned that repairing it was very complicated because of the central driven cylinder carriage. 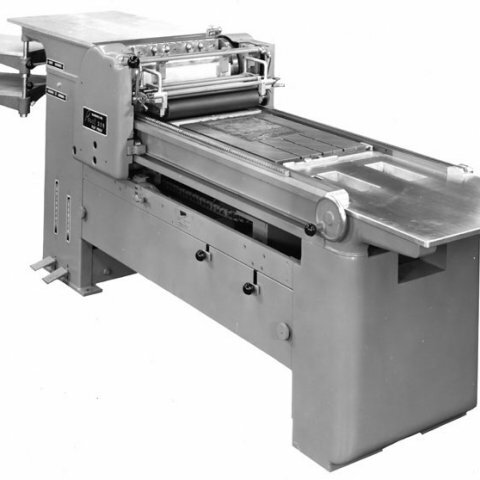 The construction was probably pretty compareable to the central driven Vandercook 219 P that was built in the 1950ies. It is also possible that the size was compareable. 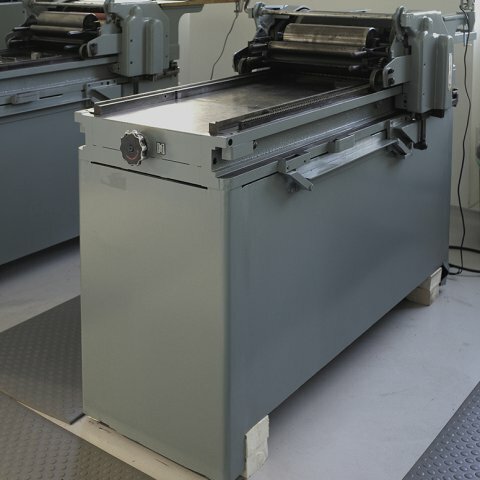 See image number 5 to see the Vandercook 219 P.
I personally doubt that there is any of these presses left – but you never know! 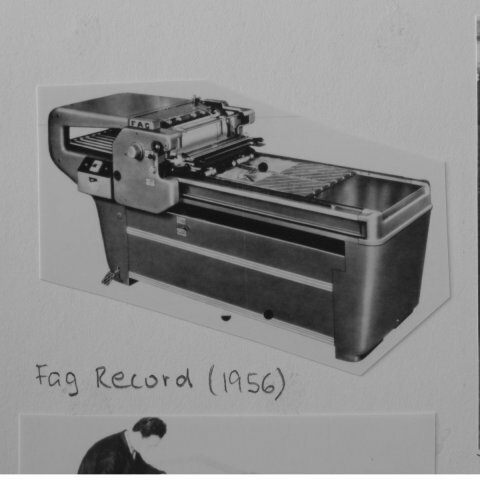 At least I am happy to now have these 2 images of the FAG Record. Still keeping my eyes open for more!